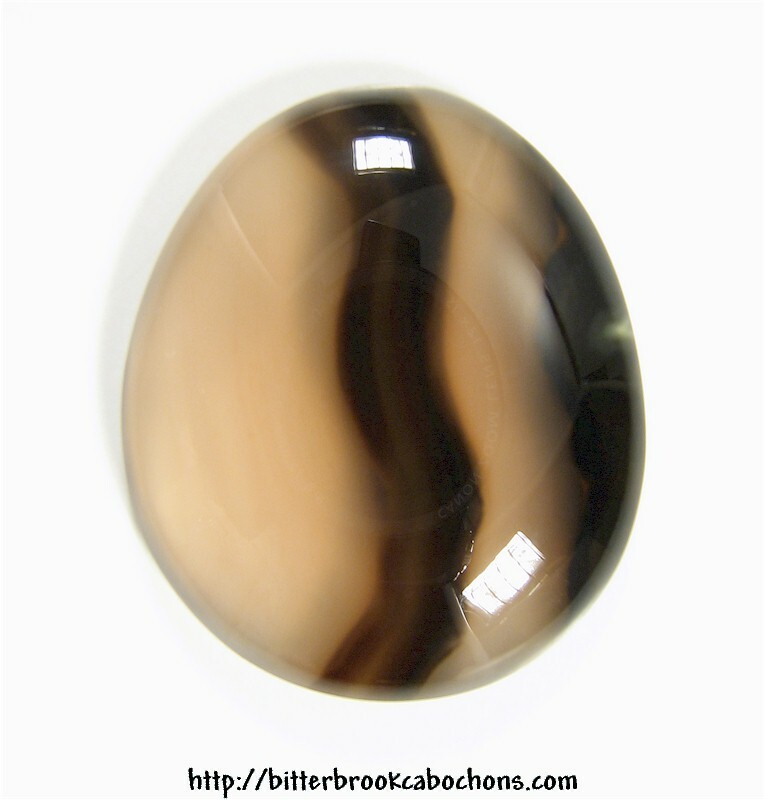 This egg-shaped cabochon is an undetermined type of Agate; most of the specimen was a cloudy brownish color with dark brown and black patterns. Much like Montana Agate, but I don't think that's what this is. It's a nice-looking cabochon, though; lots of reflections in this one, but no fractures. Dimensions: 27mm x 23mm x 6mm. Weight: 29.90 carats.